Set of 6, 100% Natural Essential Oils from Blackstone Products Inc. In addition to being 100% Canadian, Blackstone Products Inc. donates 3% of all profit to Canadian Charites, specifically in the areas of hunger and homelessness. Treat yourself to this set of 6, 100% pure essential oils and help support Canada! Set includes one 10 ml bottle of each of the following essential oils: Eucalyptus, Tea Tree, Lavender, Peppermint, Lemongrass and Sweet Orange. Essential oils come in amber glass bottles with high-quality Euro-droppers for controlled drops and easy use. All natural and 100% pure ingredients. No dilution, no synthetic chemicals, no additives, fillers, bases or carrier oils added. 3 % of the profit goes to local charities. Each set contains a description of each oil and its best uses. Satisfaction Guaranteed. If you are not completely satisfied with this product, contact Blackstone Products Inc. for a full refund. Some difference of opinion is noted regarding the strength of these oils. Some individuals thought they did not provide a strong scent, others said the scent was overpowering and most found them to be just right. It is my opinion that this is due to our individual perception of scent. In fact, using essential oils is a very personal thing and we must experiment to see what works best for us on a personal level. Concern about product leakage during shipment was noted. Unfortunately, accidents happen during shipping. If you find your product to be less than acceptable when it arrives please contact the company and they will rectify the situation in a timely manner. I’m an avid believer in the benefits we receive by incorporating the use of essential oils into our lives. Improve your physical and mental well-being with this set of 6 popular essential oils. The variety offered here allows you to mix and blend scents that suit you. Make your own special fragrances for different ailments that you may be experiencing such as allergies, cold and flu, fatigue…the possibilities are endless. Some companies don’t offer a description for how to best use the oils you just purchased. Blackstone does! Cool eh? In addition to using these oils for diffusing, they are suitable for topical application (dilution with a carrier oil is always recommend) and for making DIY skin creams, lotions, perfumes and cleaning products. Whether you are new to essential oils, or a seasoned user, this is a great set to purchase. It’s ideal as a gift for any occasion too, as it comes in very nice packaging and it looks great! There is something extra special about giving someone something that will benefit their overall health and well-being. Excellent quality and purity. This Canadian company not only provides a great product but is also committed to donating 3% of their profits to local Canadian charities to combat hunger and homelessness across the country. I support this company! Great fragrance, very nice packaging, love that it’s a Canadian product. I would highly recommend this product! I found these oils to be deeply scented and long-lasting, the fragrance permeates the whole room! These oils are top quality and are an excellent value. Canadian eh? Perfect! The oils seem to be great quality, only a small amount is required in my diffuser and they last a long time! I love these oils! I noticed the high price of other oils and I decided to purchase this set as it was so much more economical, and you get a variety of different scents. I am almost out of lavender and mint. 🙂 I will definitely be buying this set again. A Canadian Diffuser to go with your Canadian Oils? This diffuser has 4 time-setting modes: 1hour, 3 hours, 6 hours or continuous. which is sufficient to run for approximately 10 hours. Auto-Shut off: Unit will turn off when water tank is empty. ZCanada provides a 1-year worry free warranty and technical support for this product. Help create a relaxing atmosphere with your choice of 7 Coloured LED Lights. Choose to have lights cycle through the seven colours or set to the colour of your choice. Additionally, you may choose between bright or dim setting. Great to use as a nightlight! The design and colours of this diffuser are elegant and are a perfect addition to any room in your home or office. Combine it with the set of 6 pure Canadian made essential oils from Blackstone Inc. and you will have a fabulous combination. These products are available here. I hope this review of the set of 6 oils from Blackstone Products Inc. and the lovely Canadian First-Nation designed diffuser by ZCanada has been helpful. I think they go together well!…and don’t forget, when you purchase the set of 6 oils you are helping Canada’s economy and local charities. Take good care everyone! Stay happy and healthy! Eucalyptus…I’m fairly certain most of us know the familiar scent. As a child, perhaps your mother rubbed Vicks on your chest when you had a cold or a cough. Maybe you still use this product. Are you familiar with Tiger Balm? Both these products and many others contain Eucalyptus. You know it, that clean, soothing, distinctive menthol smell. As an adult, I still apply that gooey, slimy stuff (Vicks) to my chest when I am fighting a bad cold. I also diffuse Eucalyptus essential oil on a regular basis during the cold and flu season to boost my immune system. Eucalyptus is a tall evergreen tree that is native to Australia. There are several species of Eucalyptus. Eucalyptus globulus is the most common type of essential oil available. Eucalyptus oil is widely used for medicinal and industrial purposes…does this surprise you? I was surprised to learn some of the ways it has been used over the years. In addition to medicinal uses, it is used in air fresheners, disinfectants, deodorizers and in the mining industry to separate metallic sulfides from ores….very cool! It is also a common ingredient in makeup, perfume, antiseptics….the list goes on. It is a very versatile oil. Eucalyptus has been utilized for thousands of years by many civilizations including China, India and Greece. It is believed that Eucalyptus was popular among the aboriginal communities of Australia. They collected the leaves that fell to the ground and used them as a remedy for infections and common respiratory illnesses including sore throat, colds, cough, breathing difficulties and congestion. The first documented distillation of Eucalyptus oil appeared in 1788. Doctor John White and Dennis Considen, of England, used Eucalyptus to treat colic and chest conditions. The oil did not gain popularity until the mid-1800s. At this point it gained worldwide recognition. Commercial production of Eucalyptus oil began in Victoria, Australia in the late 1850s. During this time, the oil was converted to gas and was used to light houses, hotels and other buildings. This is pretty innovative and was a great alternative to using coal. Around the same time, European hospitals began using the oil as an antiseptic and disinfectant for surgical and medical equipment. An interesting piece of information is that Eucalyptus oil was in big demand during the global influenza pandemic of 1918-19. Eucalyptus is a great purifying and cleansing agent. It has anti-inflammatory, anti fungal and antibacterial properties which makes it a great all-natural treatment for wounds, insect bites, acne and other minor skin conditions. The active ingredients in Eucalyptus stimulate the blood vessels of the scalp, causing it to increase blood flow to the hair follicles. This encourages healthy hair growth and a healthy scalp. Eucalyptus is also popular as a treatment for lice. Remember to always dilute this and any essential oil when applying topically. Eucalyptus has analgesic and anti-inflammatory properties which make it especially helpful in soothing strained and aching muscles. A study publish in the American Journal of Physical Medicine and Rehabilitation concluded that Eucalyptus (the product name was Eucalyptamint, also known by numerous other Brand names) may be beneficial for pain. A study published in BMC Immunology found that Eucalyptus oil may enhance our immune system. The findings are positive and more studies may be forthcoming in this area. During the cold and flu season I regularly diffuse Eucalyptus EO in my home as a way to be proactive. I am employed in a young elementary school classroom and I am exposed to many germs and viruses. I am convinced that my immune system is improved as I have remained quite healthy and do not get sick very often. If you don’t already diffuse essential oils in your home, you might like to check out this diffuser available at Amazon! The signs of a respiratory ailment are clogged sinuses, tightness in the chest, difficulty breathing and a cough with nothing coming up. Conditions affecting the respiratory system are some of the most common reasons for seeing the doctor or making a visit to the clinic or hospital. Although there are numerous over-the-counter medications for such illnesses, there are also proven all-natural solutions that can also be great complementary treatments. Eucalyptus for example. Every one of us has those days when we just don’t feel up to par. We feel down, emotionally drained and sluggish. Eucalyptus may be able to help in this area as well. Eucalyptus has a distinct and calming scent and is one of the most popular oils used in aromatherapy today. The aroma of Eucalyptus oil can also be uplifting and energizing when inhaled. It improves mental clarity and alertness. 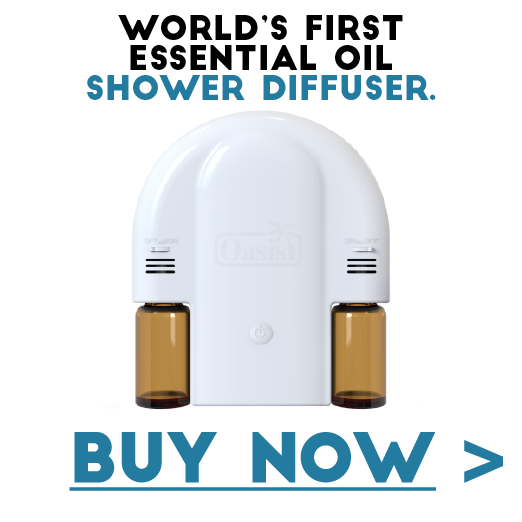 You can diffuse the oil using a diffuser, apply it topically or inhale it straight from the bottle. Eucalyptus trees have been nicknamed the “fever tree”, and for good reason. It has been known to help reduce fevers for centuries. Fevers are often a sign of infection. The antibacterial and cooling effects of eucalyptus essential oil make it an effective febrifuge. Adding the oil to warm water when giving a feverish person a sponge bath is an effective way to bring fevers down. (I would suggest diluting this oil with a carrier oil before adding it to the water). Applying a diluted solution topically is a faster way to for the oil to absorb into the blood stream. Essential oils are not only effective complementary treatments for a variety of health problems they also have a ton of uses around the home. They can help you with day-to-day household chores. Some people mix Eucalyptus oil with baking soda and apply over the surface of their carpets, wait a few minutes and vacuum. It is known to clean up dirt and germs and give your carpets a fresh clean smell. Are your trash cans stinky? Put a few drops of Eucalyptus into your garbage can and the bad odors will disappear. Sounds great, right! If your bathroom has a less than desirable smell, soak a cotton ball with Eucalyptus and place it in your bathroom. Let the fresh, clean smell fill up the room. Try this easy recipe the next time your body is sore and achy or just as a pick me up. Give yourself or someone you love a relaxing massage. It will feel great! Mix the above ingredients in a small glass bottle and shake well. Note: Moringa oil is recommended as it is known to reduce inflammation, however other oils are fine as well. I mainly use Jojoba oil as it is unscented and should not stain your linens. This easy-to-make shampoo is sure to keep your hair clean, moisturized and will help keep your head free of lice and dandruff. Using a wooden spoon, mix all the ingredients thoroughly in a bowl. Transfer to a glass jar or an empty shampoo bottle with a tight-fitting lid. Store in a dry, cool place and use as often as needed. Here is an easy-to-make antibacterial cleaning spray. Keep your counter tops, sinks, tubs and other surfaces clean and smelling great! Using a glass spray bottle, combine all the ingredients. Shake well and spray on the surface you want to clean. Keep in a dry place and keep out of reach of children. As you can see Eucalyptus essential oil and its uses are vast in therapeutic, commercial and industrial applications. The ancient civilizations, including the Australian Aboriginal people, certainly knew what they were doing when they utilized this amazing tree and its leaves. I am a believer in modern medicine, it has certainly saved thousands of lives. I do, however believe in using all-natural remedies to complement the medications and treatments provided by modern medicine. I also strongly believe that essential oils, like eucalyptus can boost our immune system and help to prevent the onset of some illnesses. Traditional medicine has been tested, practiced and proven for thousands of years by real world people. More pharmaceutical laboratory testing is warranted in order to bring to light the many benefits that essential oils and other natural remedies can offer us. It is my hope that this research will continue. In my mind, there is room for both modern medicine and traditional medicine. Wouldn’t it be great to see the two fields working together to create a healthier world? The Perfumery Note of Eucalyptus is top-middle. If you are interested in blending Eucalyptus oils with other essential oils, try Spearmint, Lavender, Tea Tree and Lemon Grass. They are all lovely and complement Eucalyptus quite nicely. These are just suggestions and you will find many other oils work well together too! If you are interested in learning about blending oils, check out the article below called Essential Oil Notes – What does this mean? You may also be interested in reading Using Essential Oils Safely – Knowledge is Everything. I hope this article has been interesting and helpful. I love using Eucalyptus oil and it has certainly been both a mental and physical asset in my life. I use my diffuser quite often, the overall health benefits are amazing, not to mention the fun I have making blends and experimenting with the various fragrant combinations. My house smells great! That’s it for now folks. I would really love to hear from you if you have any thoughts about this article or anything aromatherapy related. Just leave a comment below. Have a wonderful day, take care and stay happy and healthy!